Hello… from Florida still! Well, I’m back in Michigan of course, but I have a few more posts coming at ya from our vacation to Santa Rosa Beach, Florida! We had such a great time on our trip! On this particular day, we woke up, and headed over to the main area for brunch at The Perfect Pig, which was one of our favorite restaurants on this trip! So good. Eric and I both had their endless mimosa bar and I ordered the benedict and Eric got a skillet. Everything everyone else got looked delicious too. I’m starting to forget all the details of our trip — so I need to make sure I blog everything before I forget! But I’m pretty sure after brunch, we headed back to our cottage to change, and hit up the pool and beach for the day. Any sunny day we had, we tried to take advantage of being around water! Hello again! We’re back from our trip to Santa Rosa Beach, Florida! We had a great time, and I really loved getting the chance to explore and experience a new town. Especially one I had never even heard of a few months ago! Our friends (and Eric’s bandmates) invited us on their annual vacation over spring break, so we happily obliged! It’s very rare I ever take a week off, especially during Michigan’s crummy weather, so it was a really nice escape. I usually spend all of my vacation days as long weekends in the summer, so it was fun to try something new! I’ll be back with a few more posts from Florida, so stay tuned! 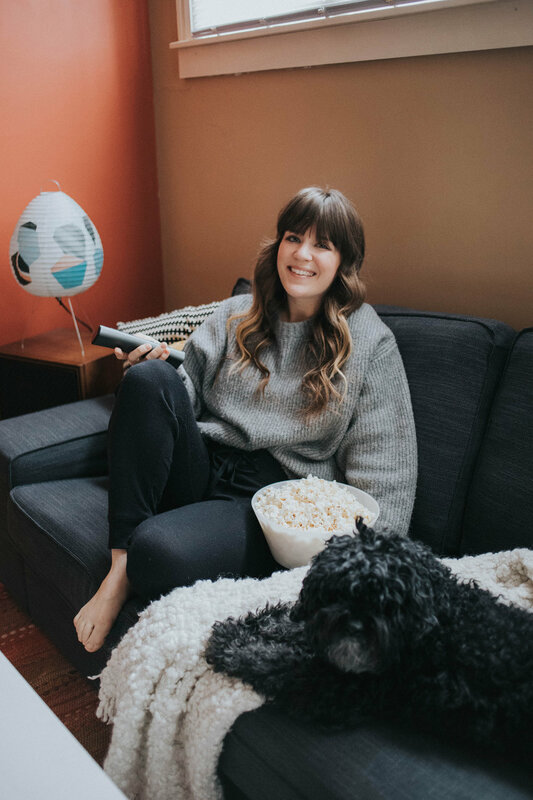 So I’ve been blogging for almost 10 years — and what started as a fun hobby and creative outlet has also turned into a pretty legit side hustle for me! I didn’t start my blog or Instagram with even the slightest idea that I could make money from it. It wasn’t until I had been blogging for about a year that brands started to reach out about working together. 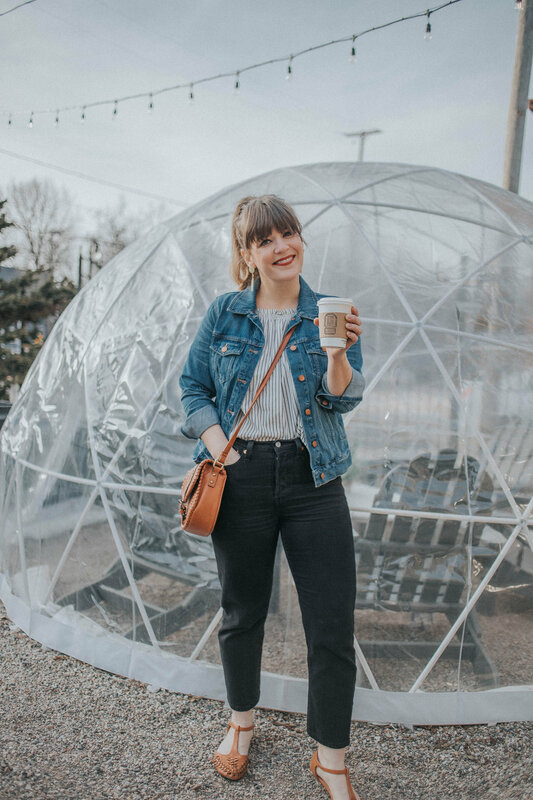 At that time, I was starting to use affiliate networks and sidebar ads, but what I make most of my money from now is… collaborations + sponsored posts! I get a lot of those opportunities from working with with networks like Find Your Influence. They are all about influencer marketing, connecting you with bigger brands to get paid to do what you love! This post is sponsored by Find Your Influence. All opinions are mine! Happy spring! I’m so excited this season is finally here. And we’ve actually been seeing some decent spring temperatures and sunshine! Last weekend, it was pretty nice outside and the sun peeked out… and I just felt like heading to Grand Haven to take in some new (well, old haha) scenery. Sometimes I forget that we live so close to the beach, to lighthouses, to Lake Michigan. I grew up in Muskegon, lived in Grand Haven for several years, and sort of just miss living so close to the lake. But living in Grand Rapids, I do live close to the lake… and I can go any day I want. So here’s to more adventuring this summer, especially in west Michigan. And not feeling like I have to “plan a trip” to take in some different sights. It’s all right here. So Eric and I checked out Ando Sushi + Bar this past weekend… and it was such a great experience! We’ve been wanting to check out this place for a while, so when they invited us in for a visit, we jumped at the chance! It’s located on the west side of Grand Rapids, in a super fun and upcoming neighborhood. The vibe was awesome, their joyful hour had some serious deals, and the food was delicious. I’m wondering where we’ve been this whole time, haha! But I’m so glad we checked it out, and already can’t wait to go back to try other things!